FOR A VERY LIMITED TIME, WE HAVE LOWERED OUR RENTAL DEPOSIT TO JUST $199 WITH A 12 MONTH LEASE. THIS IS FOR ANY SIZE APARTMENT WHILE THEY LAST!!!! HURRY HURRY HURRY!!! If you are looking for an apartment you will be proud to call home, then look no further! 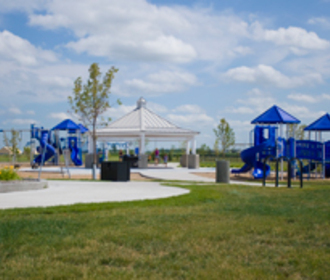 South Shore Landing is premier apartment living at its finest. 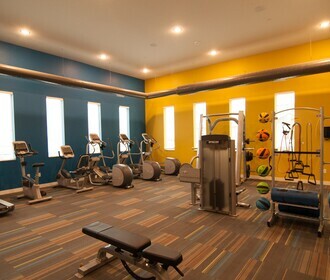 Our apartments are bursting with amenities. 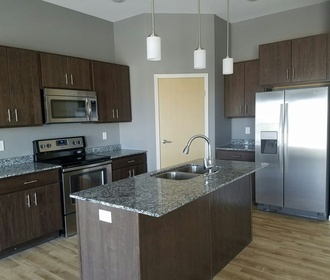 Whether it is the granite counters, stainless steel appliances, in unit laundry or central air we are certain you will fall in love with South Shore Landing. Every layout was well thought out with the resident in mind. If the apartments themselves aren't enough, South Shore Landing also offers our residents an outstanding Fitness Center that is open 24/7, Resident ClubHouse, Theater Room, Patio complete with a gas fire pit and grill station, and so much more!! South Shore Landing is dog friendly! We even have an on site dog park (Central Bark!) to keep your furry family members happy. South Shore Landing is proud to be a 100% Smoke Free Environment!